It takes a team 💪: how to plan for the ultimate company retreat. If you are a cool nerd wondering what working for Jampp is like, somebody who organizes company events, or just an avid reader looking for cool content, this post is for you! The Jampp Camp Squad starts small, but it thinks big. The first challenge (as you will read in most posts about organizing events) is finding the right venue — think: location, location, location. The second challenge is defining the event’s theme & branding. This isn’t just about the look and feel, but also about what you’re trying to communicate to your team. Next, we think about what we need help with and who has the right skills. For us that means a get-things-done energy combined with an ability to work under the radar, to surprise and delight with every detail on the actual day 🤐. (We keep the location of the event secret until the day before, when we do end of the year all hands). Another thing to consider when choosing the squad, is making sure we involve Jamppers from every team. 🎨 Branding & Decoration — Create a brand image of the event that excites and inspires, that feeds the imagination. 🧘 Activities — Think up activities that are both location and industry /company related. 📸 Art Directors — Make sure photos and videos capture the essence of the event. ✍️ Copywriters —Brand the event and inspire your team to take action. 🎸 Band Leader — We’re lucky to have several musicians in our team, so we always appoint a Jampper to rally their talents. 🌎 Global Ambassadors — Squad members in every office will help get everyone ready equally excited about the event. 💸 “Show Me the Money” Broker — Trust us: you will need someone to oversee the budget plus help with all the payments — lots of them. So how does this all add up to make an awesome company retreat? People like lists… or at least organizers do 😉 so below we’ve highlighted 5 things, which we think really make a difference. 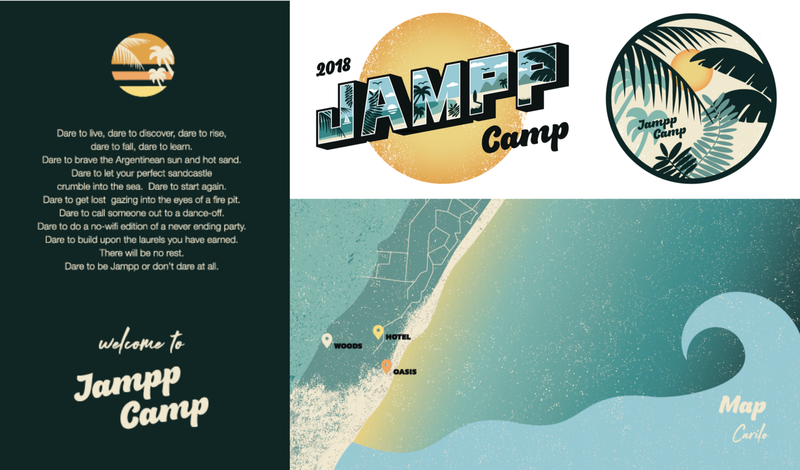 Jampp Camp is not just a day to celebrate the end of the year — Jampp Camp is the the “culmination” of Jampper Week. Yes: Week. It’s the only time of the year when our global team is all together in one office. It’s both an opportunity to celebrate what we have achieved and a chance to ready ourselves for the upcoming challenges and opportunities. In the weeks leading up to this, the Global Ambassadors start working behind the scenes to ensure every Jampper is ready for Jampp Camp. At the beginning of Jampper Week, we announce the teams and their captains for the competition. Friendly competition is allowed and encouraged from the moment each team sends in the name and team flag that will represent them throughout the week. #ProTip: captains are also a big help when you’re planning an event for 100 people and need to ensure everybody is where they need to be). We think it’s important to come up with activities that are somehow related to the event’s location (for example: this year we went to the beach and hosted a kickass sandcastle building competition). We are not saying the success of your company retreat relies on your team’s musical talent… but if you have a live band made up of your talented team mates kicking off the party… well, it’s pretty awesome 🎸💥. Our founders give out the “Jampp Awards”; recognizing the people who have truly embodied our company values throughout the year. Even if no one in the Squad knows who the winners are until showtime, they do help set the stage/mood: from the presentation to the prizes and music… The squad is on top of every detail. The most important thing for us, is to have a theme that represents who we are and where we’re at. What do we want to communicate to the team? This year’s messaging was all about daring to… build, think big, delight… because in order to grow and take things to the next level, the first thing you need is to embrace your values and dare to take the leap. 4 months before the event: You’re a (small) team of people locking location and outlining the basics. Choose a theme that represents who you are and your values. 2 months into planning: Put together a squad with people from different teams to figure out the details — decor, photographers, swag etc (your team will love to feel involved and it will certainly help you take the retreat to the next level). Liked this? Keen for more? 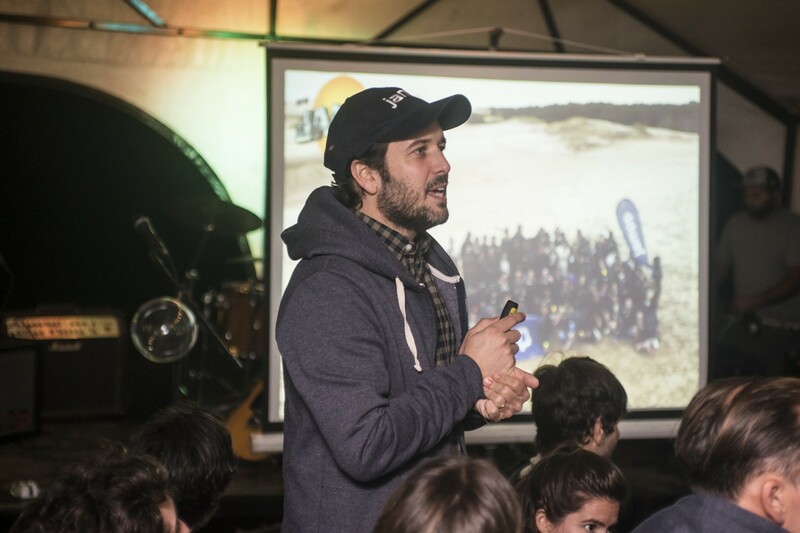 Read last years post for our founders’ take on the end of year company retreat. Big thanks to our kickass squad 💥 and Lucia Oddonetto from our Internal Comms team who helped piece this post together.